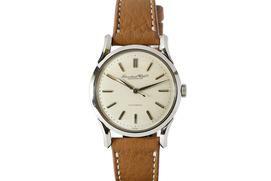 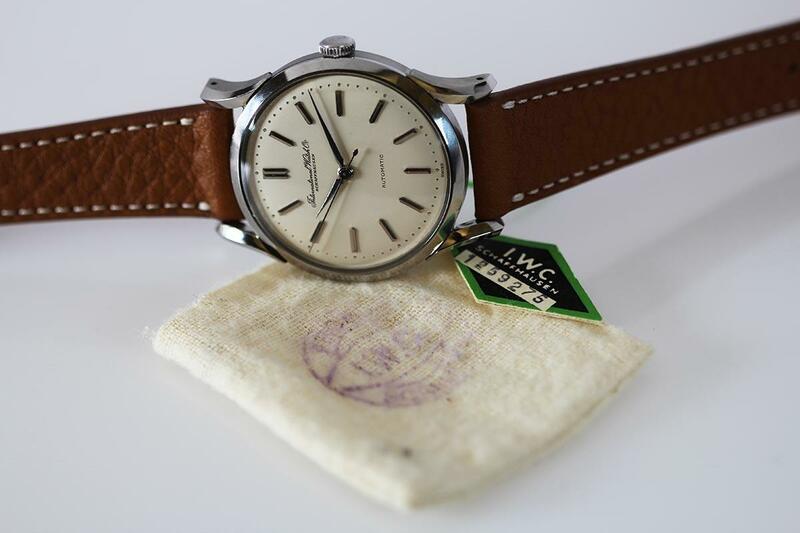 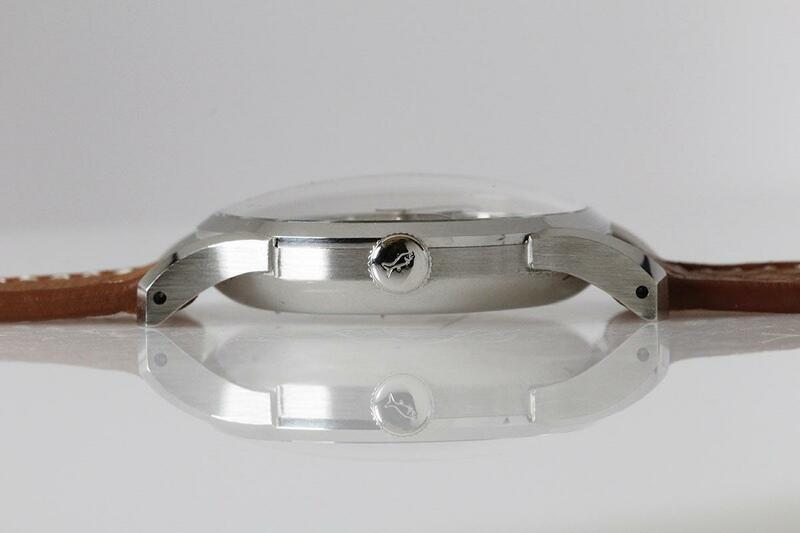 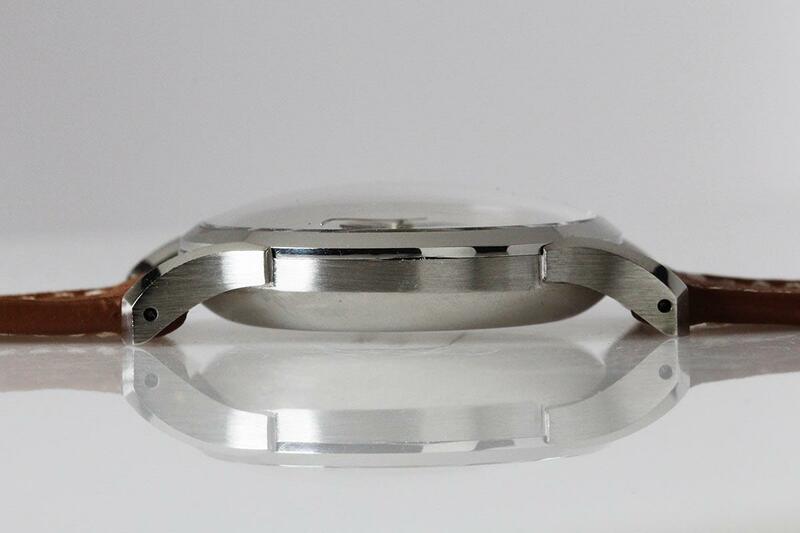 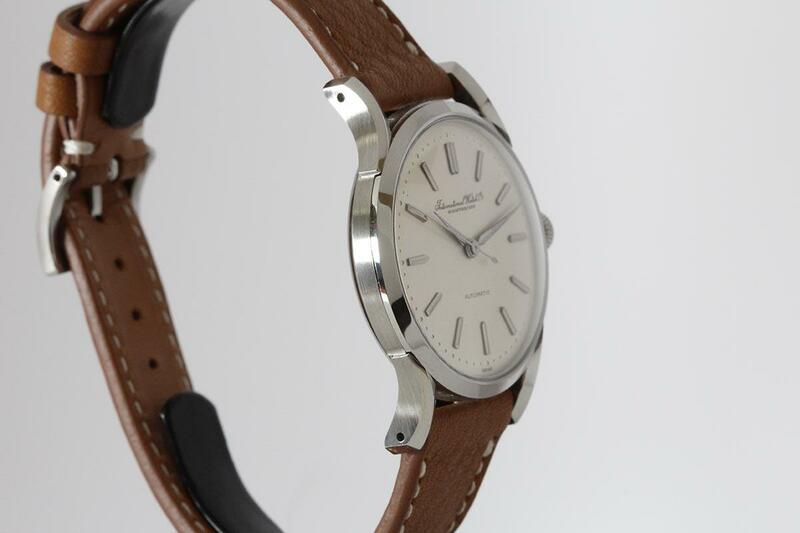 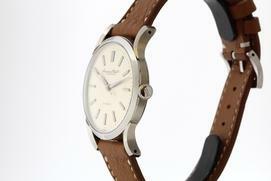 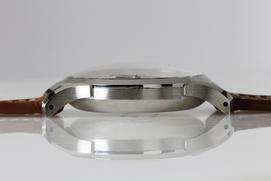 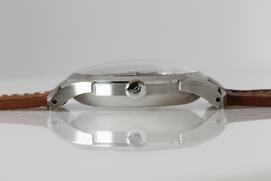 This is a new old stock IWC Calatrava style dress watch from the 1950's with original hang tag. The fancy lug edges are sharp and the case is in excellent original condition. 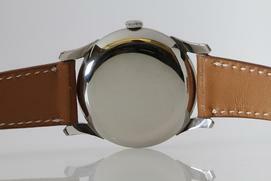 The matte silver dial is all original with applied markers. This lovely watch is powered by an automatic movement.